All models feature lightning-fast capture of bar codes printed on a label in virtually any condition, or displayed on a screen, and the ultra-rugged design is practically indestructible — ideal for punishing environments. The 3600 series also couldn’t be easier and less time-consuming to deploy and manage with the included software tools available at no extra charge. When it comes to capturing bar codes in rugged environments like the warehouse or manufacturing plant floor, every second counts—speed and accuracy is directly related to workforce productivity, throughput, and the quality of products and customer service. 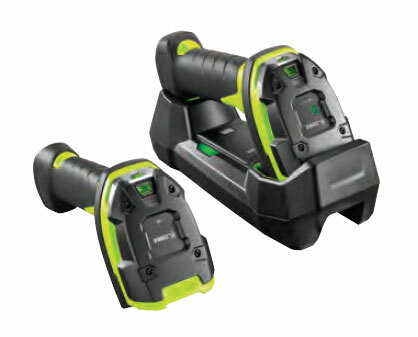 Zebra’s new 3600 Ultra-Rugged Scanner Series is the industry’s first ultra-rugged line of corded and cordless industrial handheld scanners that set higher benchmarks for rugged design, scanning performance and manageability. The result is unstoppable performance, faster-and-farther-than-ever data capture, with unprecedented scanner uptime and a low total cost of ownership.